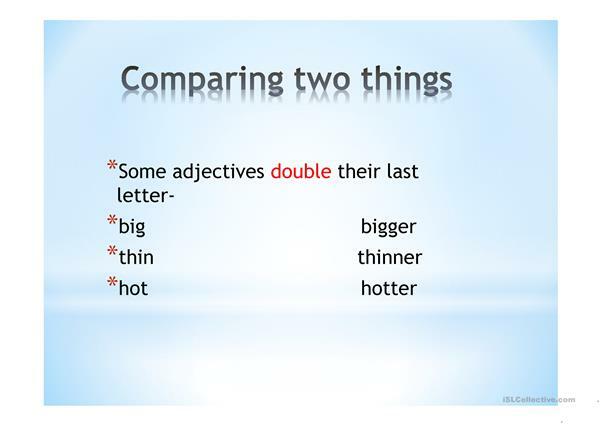 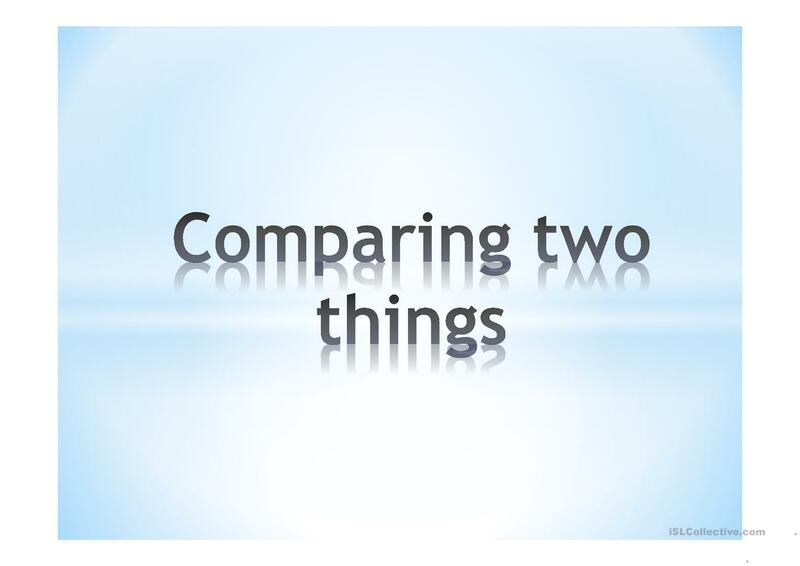 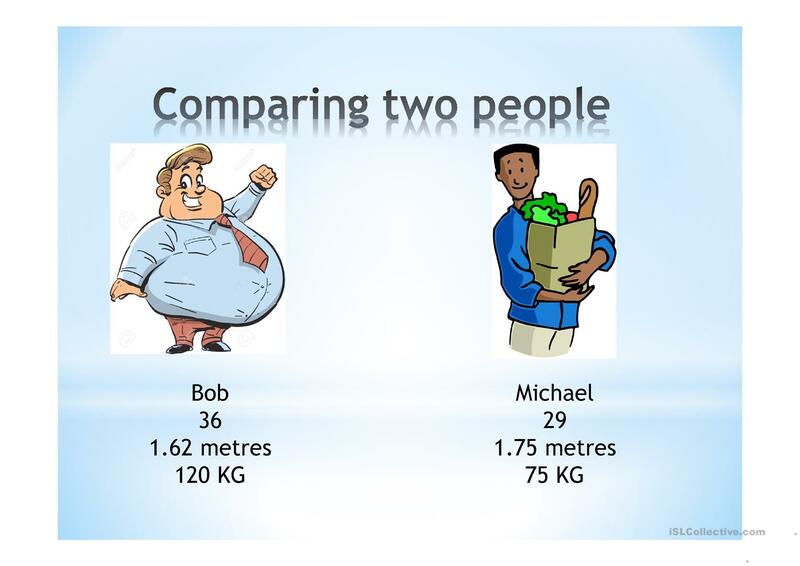 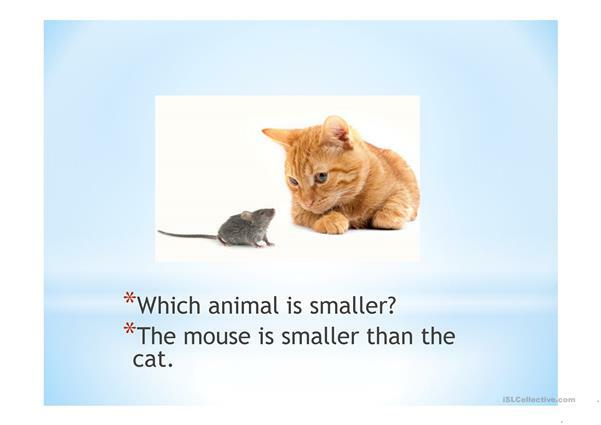 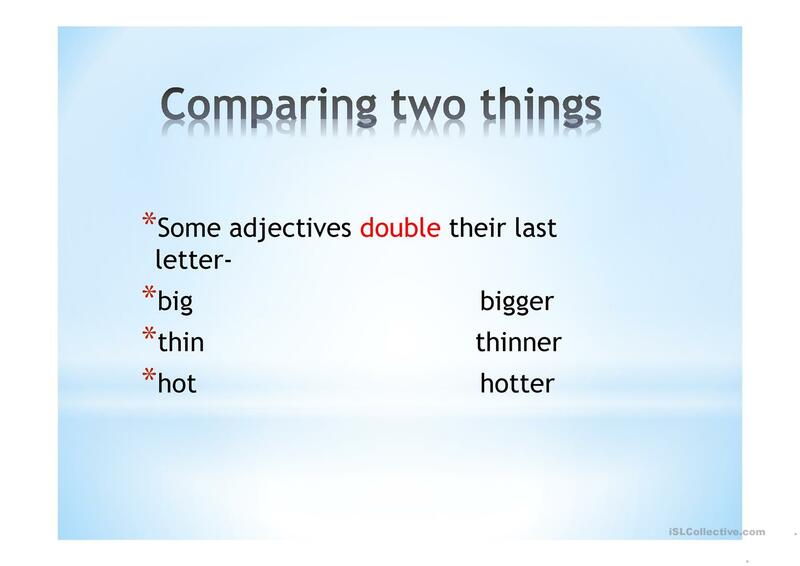 This is an introduction PowerPoint on comparatives for beginner ESOL students. 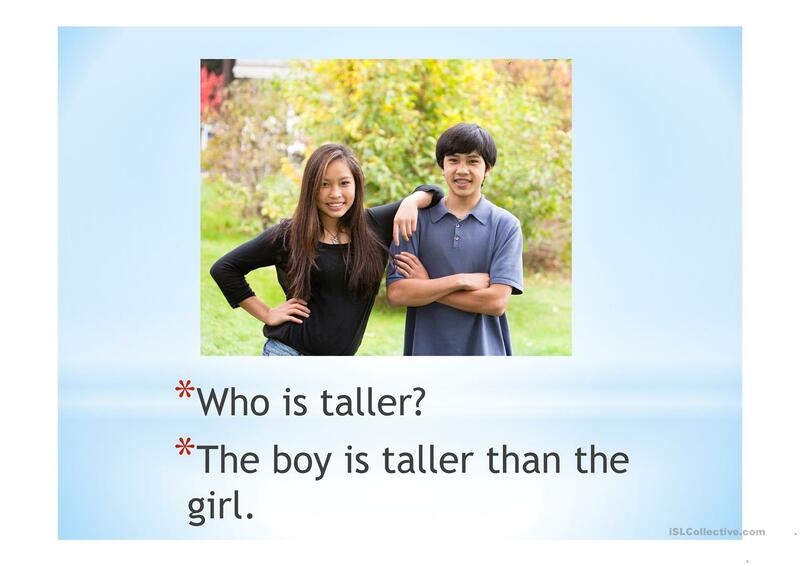 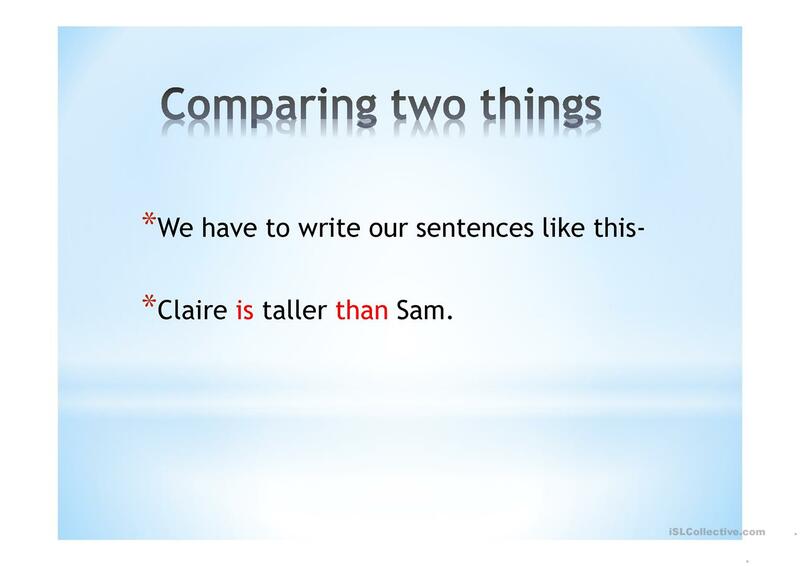 It has an activity at the end where the students have to write sentences comparing the two people in the previous slide. 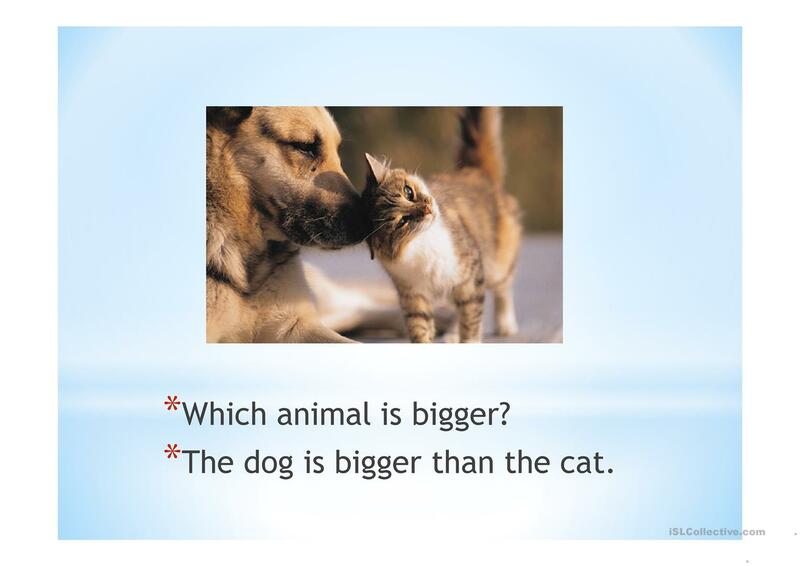  This downloadable printable was created for adults at Beginner (pre-A1) level. 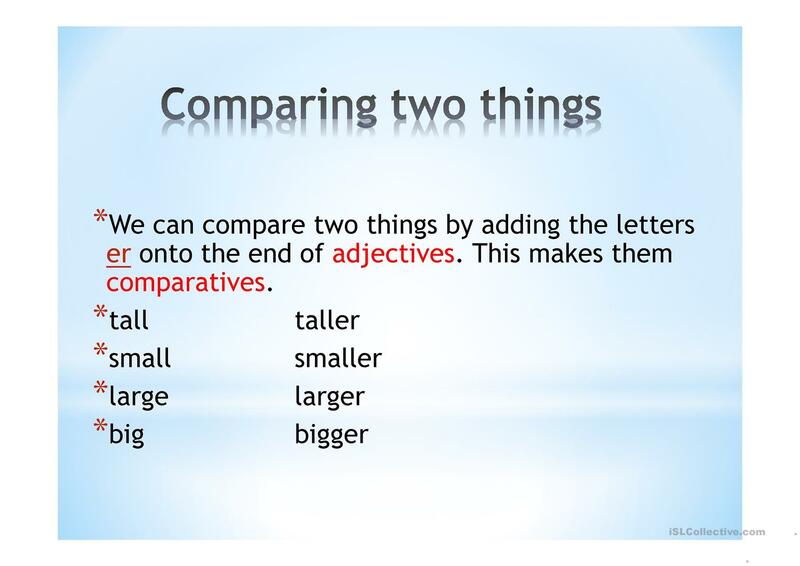 It is aimed at teaching Comparison (comparative and superlative) in English, and is excellent for enhancing your class' Writing skills.